British Prime Minister Theresa May is reportedly set to make a personal intervention in stalled Irish government talks according to the national broadcaster the BBC. This comes on top of her attempts to find a solution to the Northern Irish border question which threatens to derail London's Brexit negotiations with Brussels. The United Kingdom and the European Union reached a preliminary agreement in December 2017 on Northern Ireland, stating that the country was to maintain "regulatory alignment" with the EU despite not remaining in the Customs Union or the Single Market. The agreement was widely viewed in the media and academic circles however as a "fudge" that simply postponed resolution of the problem to a later stage. The Prime Minister has come under increasing pressure from the "Hard Brexiteer" wing of the Conservative Party to hold to her government's pledge to pull the UK entirely out of the EU's institutions, including the Customs Union and Single Market. In the last week, the pro-Brexit Conservative member of Parliament Jacob Rees-Mogg suggested that Britain could unilaterally refuse to levy customs duties and border checks, in effect placing the responsibility for any hard border on the Republic of Ireland and the European Union. Professor Roger MacGinty of the University of Manchester's Department of Politics spoke to Sputnik on the viability of such a proposal. "Jacob Rees-Mogg has the luxury of sniping from the backbenches and committees without actually having to implement anything. Obviously the UK will have to 'police' the border between Northern Ireland and the Republic of Ireland for security and immigration reasons. The real question is the extent to which Northern Ireland will be in the same boat as the rest of the UK after Brexit. Will it be outside of the Single Market — like the rest of the UK — or will it have some special status? Unionists are anxious that Northern Ireland is treated in the same way as the rest of the UK. They don't want to see anything that would weaken the Union, but that means prioritising their constitutional goals over economic rationality. 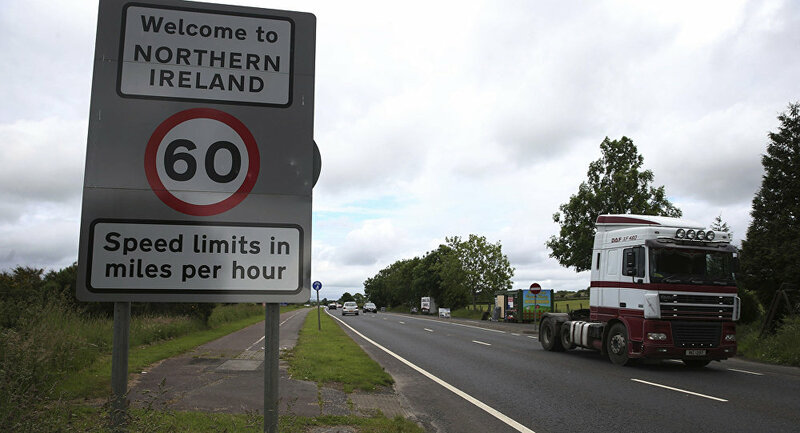 If Northern Ireland will have some sort of special economic status then it — and the border regions in the Republic of Ireland — could become a hub for firms who wish to exploit EU-UK trade," Professor MacGinty told Sputnik.